The Bonette is literally the highlight of the Tour de France 2015. The finish of one of the stages of the Tour in 2015 is on the top of the Col de la Bonette - Restefond. The Bonette with its 2715 meters is one of the highest mountain passes in Europe. 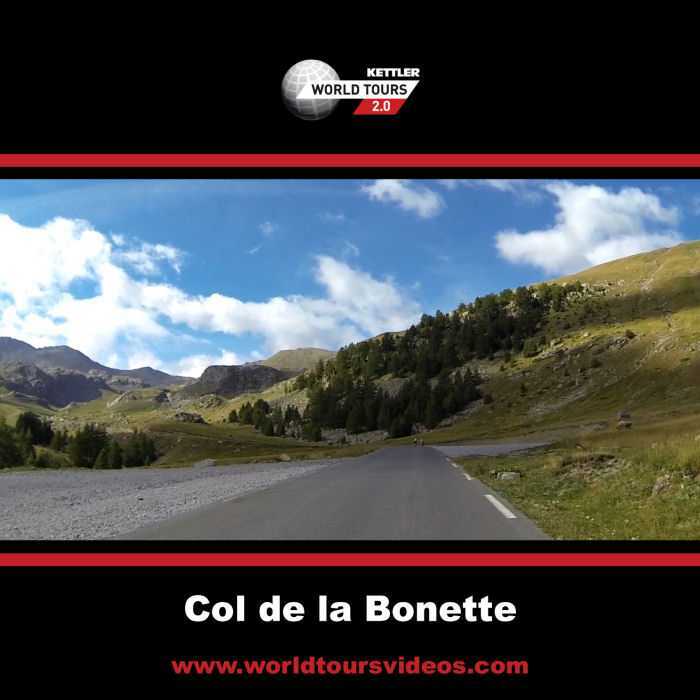 The two-kilometer road built around the Cime de la Bonette is also included in this video. After you reach the top, the long descent to St. Etienne de Tinee follows. In Kettler World Tours there is an option to change the difficultylevel. This way everyone can ride any Mountainpass!